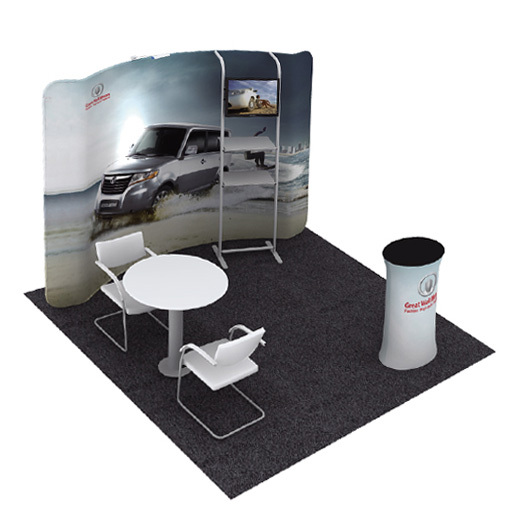 The Fabric Tension Display, Exhibition Package 1 is a powerful proposition in making a strong first impression at any Trade Show. First impressions are very important in particular at an Expo when thousands of people flood through the doors looking to be impressed. The Fabric Tension Displays also referred to as soft signage, are light and easy to install and disassemble. 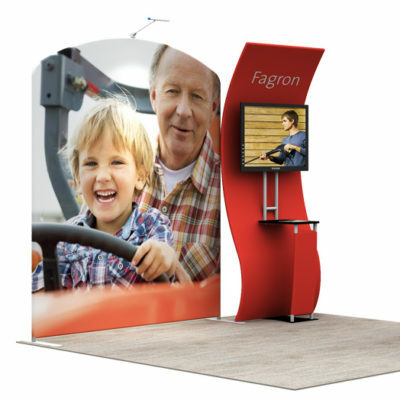 They pack into a bag which makes the Exhibition Displays a breeze to move from one place to the next which removes a deal of stress. 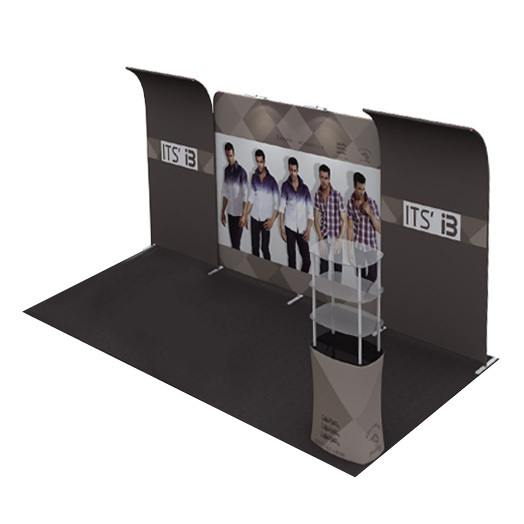 The fabric Exhibition Package 1, makes shipping a thing of the past and costs are also minimised as with the traditional rigid display, things get lost or damaged. 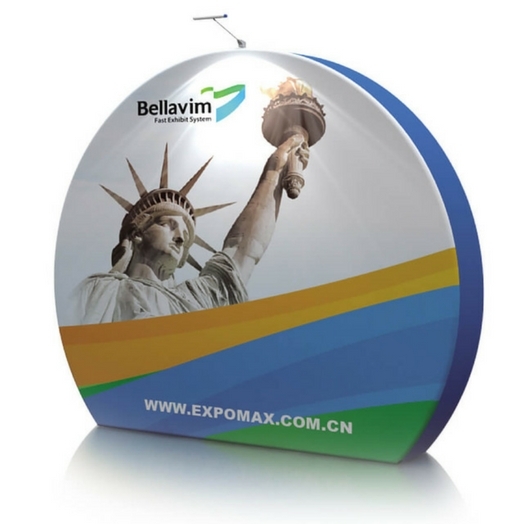 So it’s a very easy product to just pack up and take with you! 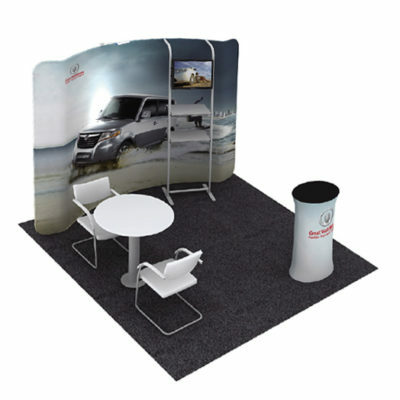 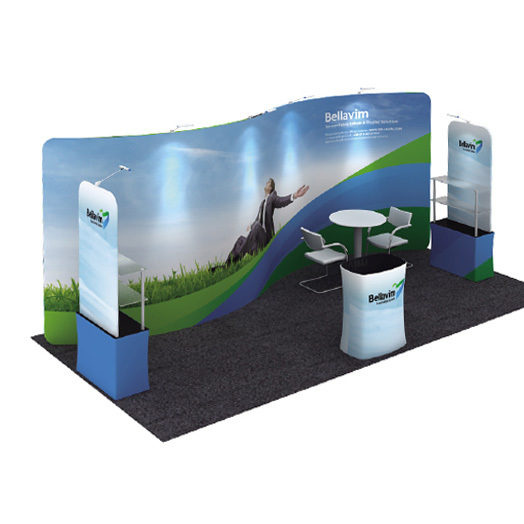 For your next Expo, seminar or conference think Screen Offset Printings’, Fabric Tension Display – Exhibition Package 1. 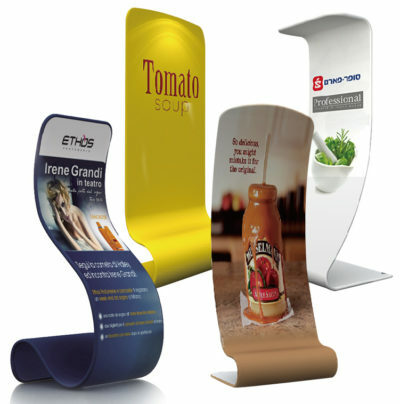 It’s a great choice.